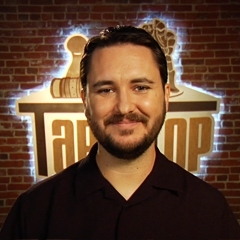 Don’t worry Wil Wheaton fans, Tabletop is not a cooking show or guide to Wheaton’s favorite restaurants or restaurant apps. Tabletop is about board games. Wheaton said on his personal typepad site that when his,good friend and hit Web series producer, Felicia Day asked him if he wanted to do a show on her premium YouTube channel,Geek & Sundry he said of course he did. That’s when his wheels started turning to come up with a cool idea. Wheaton admits that after editing each episode he wanted to go play each game until his face fell off.